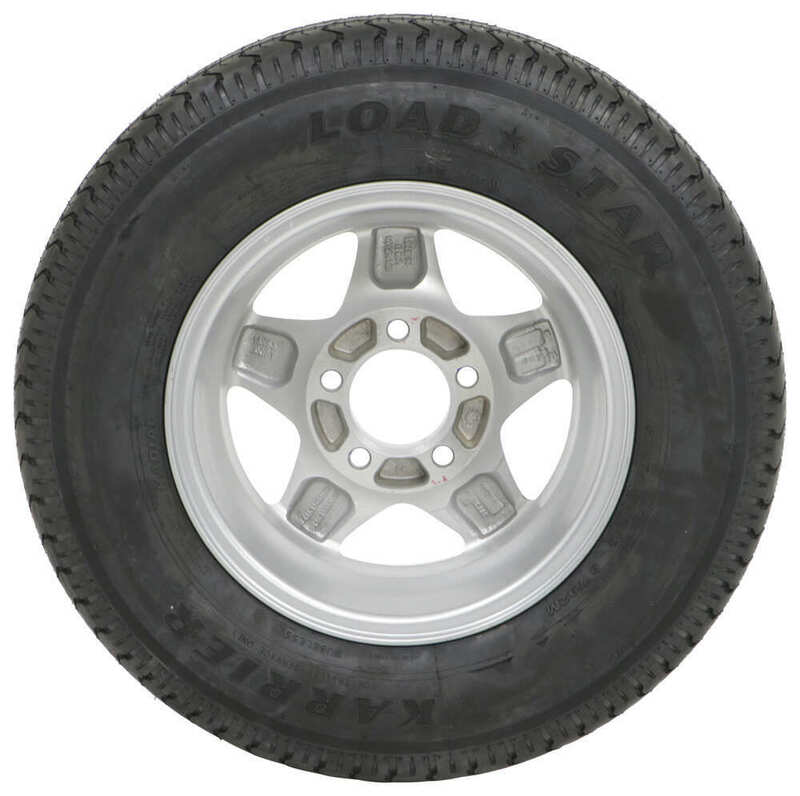 Radial tire has a ply rating of 8 and a 1,610-lb maximum load at 65 psi. 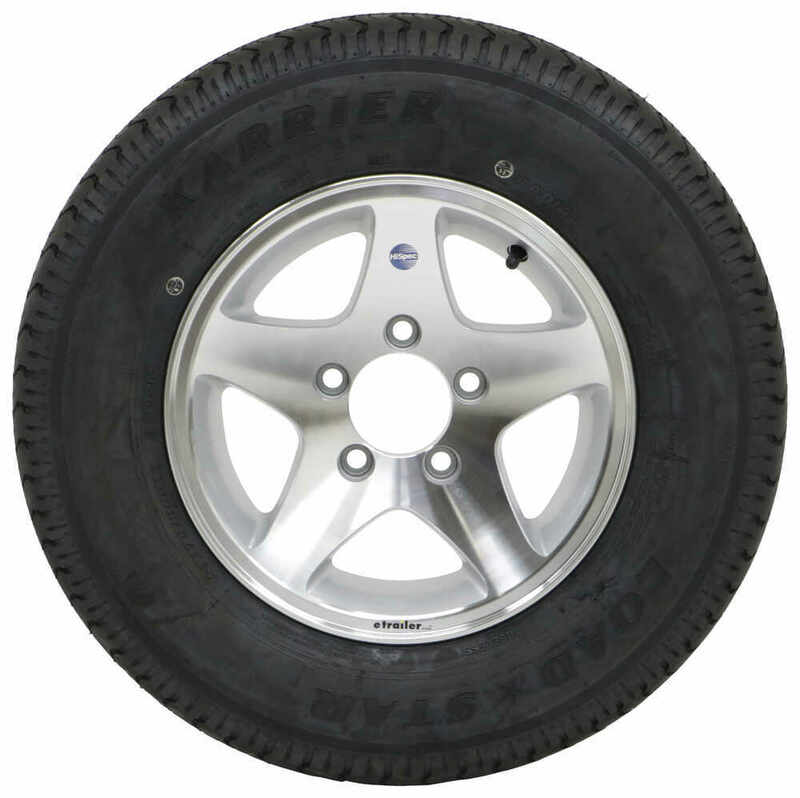 The 13" diameter x 5" wide aluminum trailer wheel features a 5 on 4-1/2 bolt pattern and is corrosion resistant. Lowest Prices for the best tires and wheels from Kenda. 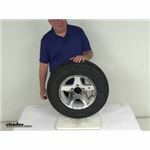 Karrier ST175/80R13 Radial Trailer Tire with 13" Aluminum Wheel - 5 on 4-1/2 - Load Range D part number AM31998 can be ordered online at etrailer.com or call 800-298-8924 for expert service. 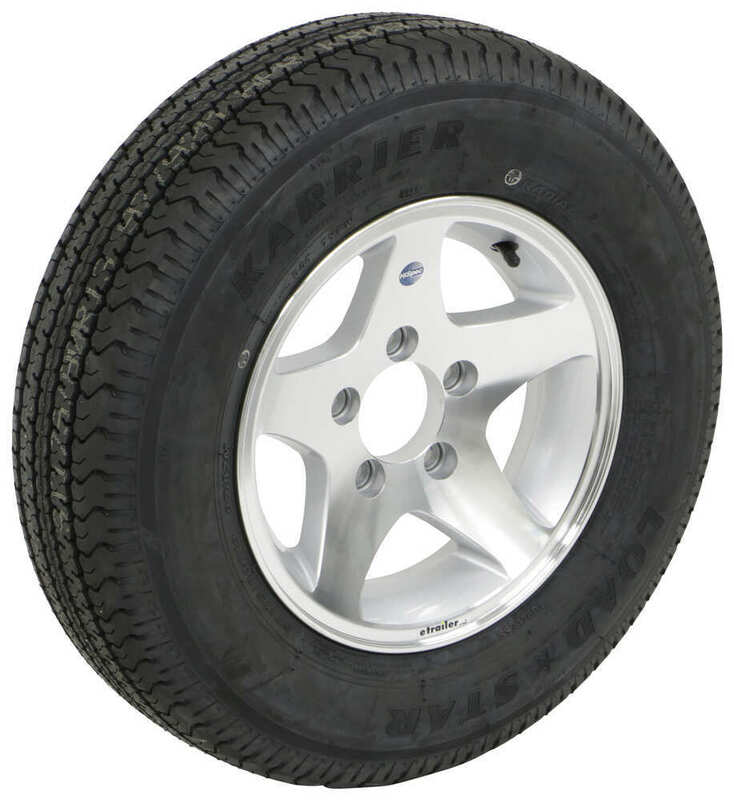 Radial tire has a ply rating of 8 and a 1,610-lb maximum load at 65 psi. 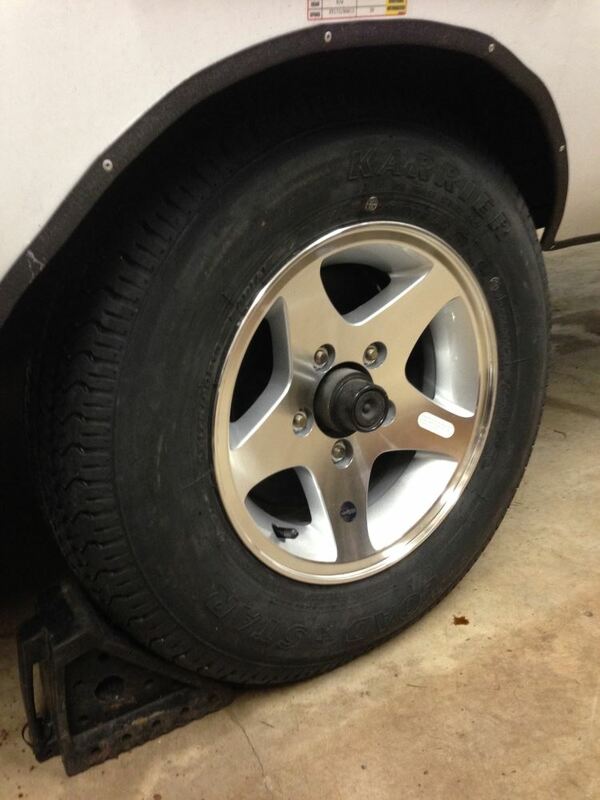 The 13" diameter x 5" wide aluminum trailer wheel features a 5 on 4-1/2 bolt pattern and is corrosion resistant. Outer diameter (when inflated): 24.1"
Note: The overall capacity of this tire-and-wheel assembly is limited to the lowest rated component. Do not fill your tire to a pressure greater than that indicated on the tire itself or on the wheel that it is mounted to. 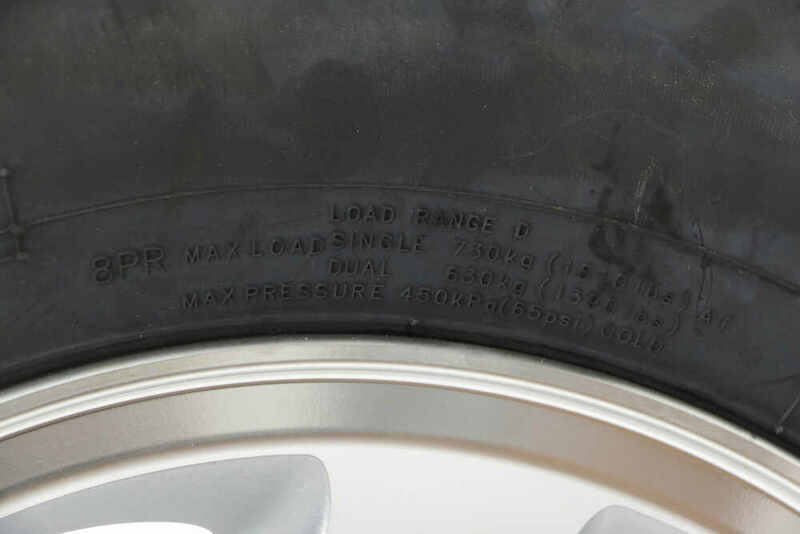 Radial special trailer tire with automotive-grade tread has a ply rating of 6 and a 1,360-lb max load at 50 psi. 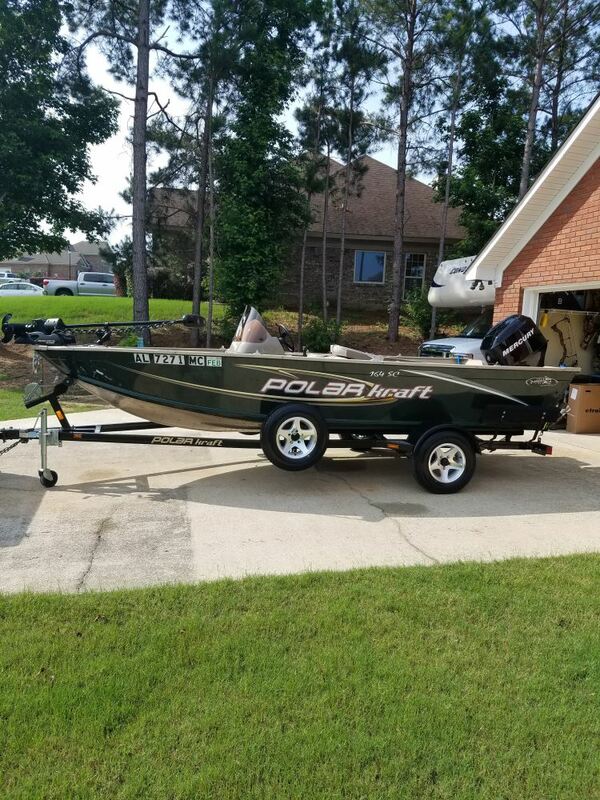 Great for highway use. Fits 13" wheels. Radial tire has a ply rating of 8 and a 1,610-lb maximum load at 65 psi. The 13" diameter x 4-1/2" wide steel trailer wheel has a 5 on 4-1/2 bolt pattern and a corrosion resistant, black powder coat finish. 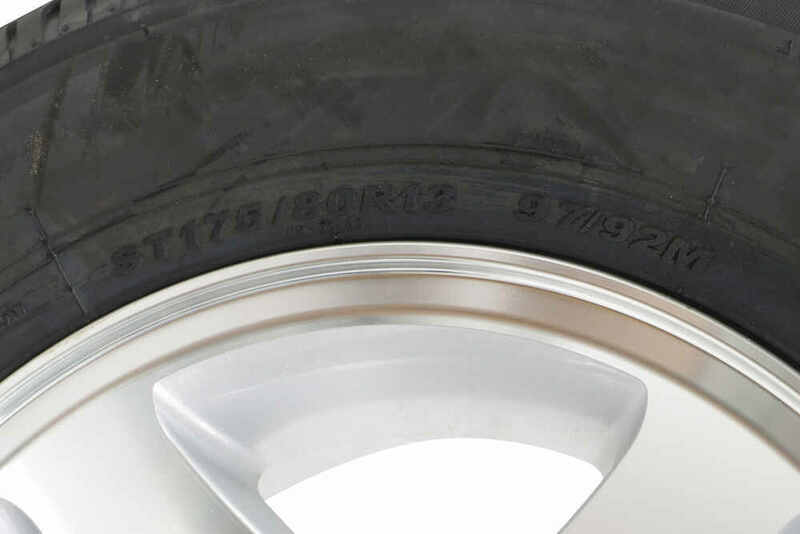 Bias tire has a ply rating of 8 and a 1,725-lb maximum load at 65 psi. The 13" diameter x 5" wide aluminum trailer wheel features a 5 on 4-1/2 bolt pattern and is corrosion resistant. 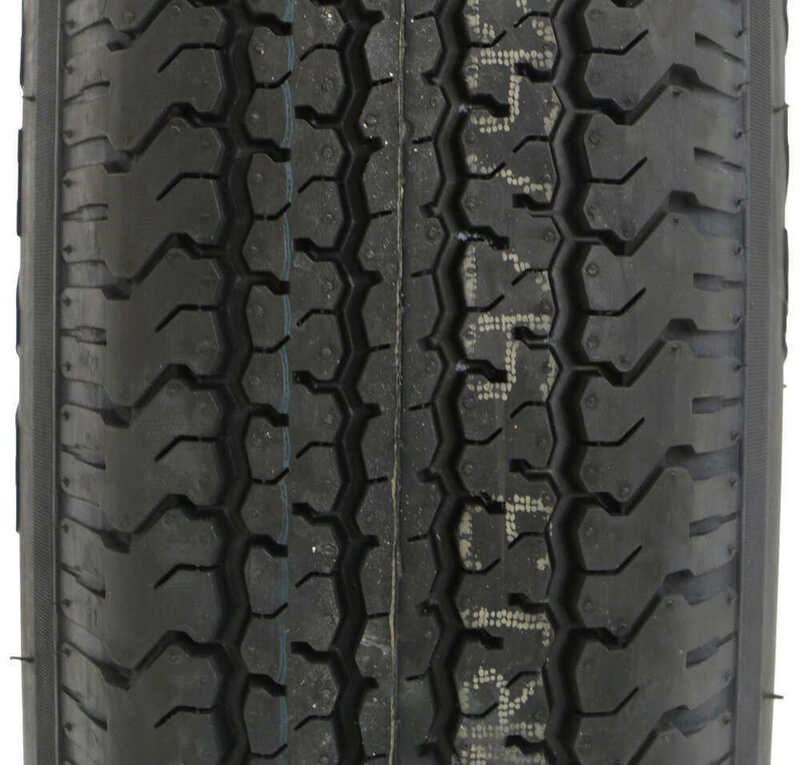 Order: RelevanceNewestRating - High to LowRating - Low to High Radial tire has a ply rating of 8 and a 1,610-lb maximum load at 65 psi. 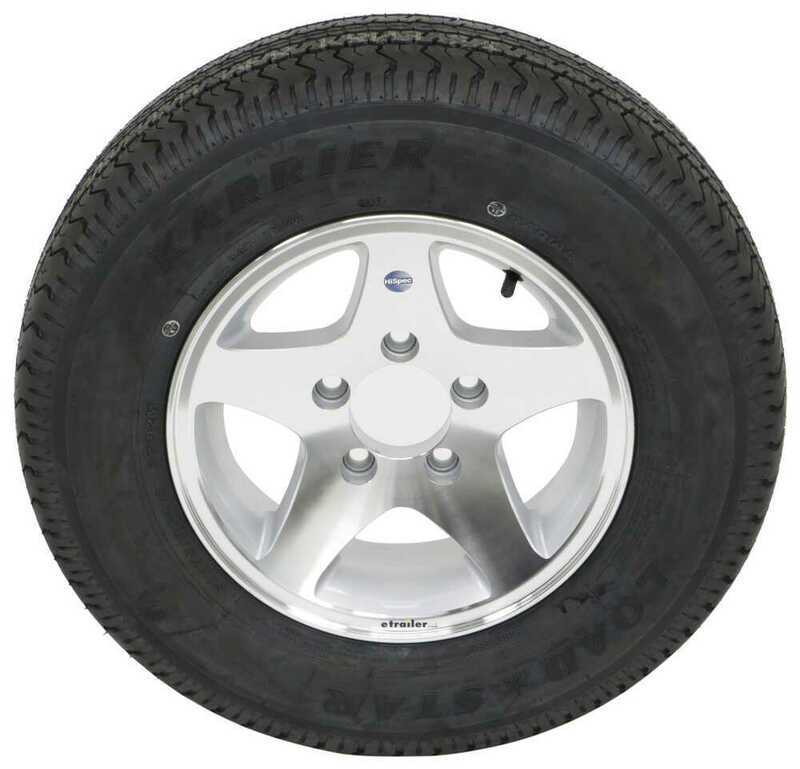 The 13" diameter x 5" wide aluminum trailer wheel features a 5 on 4-1/2 bolt pattern and is corrosion resistant. Because the vast majority of folks use a steel wheel for their spare tires, neither we nor Dutton-Lainson have a readily available off-the-shelf solution for your issue, but I believe I have a solution for you. Your best bet would be to use a longer carriage bolt, along with a nylon fender washer followed by a steel washer secured by the nut. The nylon fender washer will prevent the steel washer and nut from scratching that nice aluminum rim. Youll want the washers to be larger in diameter than the hole. I ran this by the folks at Dutton-Lainson, and they agreed that it sounded like a good solution. I am still very happy with them all around. They look great, and still function perfectly. Great all round. Thanks for checking back with me. Not sorry in any way I did the swap. They are bright and shiny. 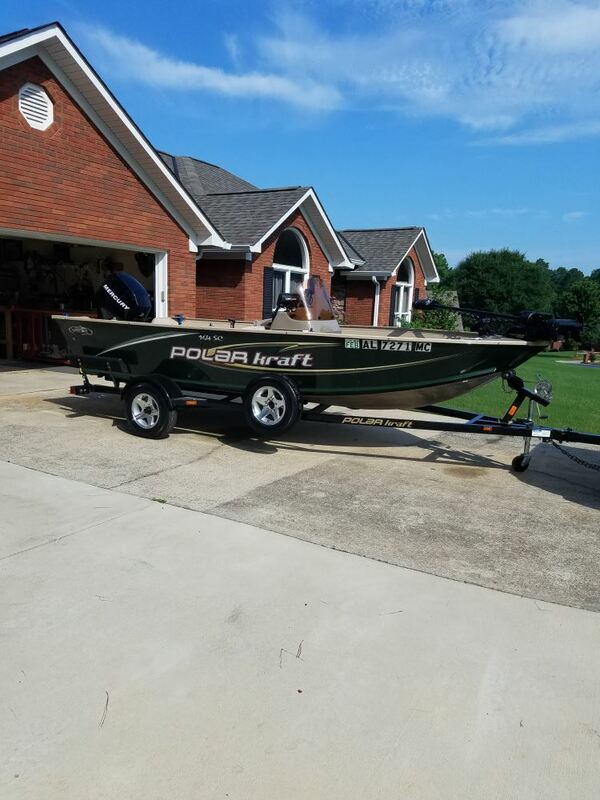 The tire is for a spare right now plan on getting another to put on my boat trailer. Great tire and rim can wait to see them both on my trailer. You will want to use a bulge lug nut with a 60 degree cone, like the # AM90049. A 90 degree lug nut will not be able to be tightened enough without chewing up the lug recess in the wheel. Aluminum does do a much better job at dissipating heat than steel, so to answer your question an aluminum wheel would run cooler than a steel one. In a trailer rim application this really wouldn't be much of an issue though and wouldn't offer you any benefit. Rim heat isn't usually a concern on a trailer so using an aluminum wheel isn't offered as a recommendation for helping remove heat. The real benefit to aluminum wheels is that they don't rust and they are typically lighter weight. In the galvanizing process, depending on how the manufacturer dries the wheels some of it can pool on one side due to the dipping processed used. That is an issue you are going to run into with many wheel manufacturers. It is an ongoing issue. 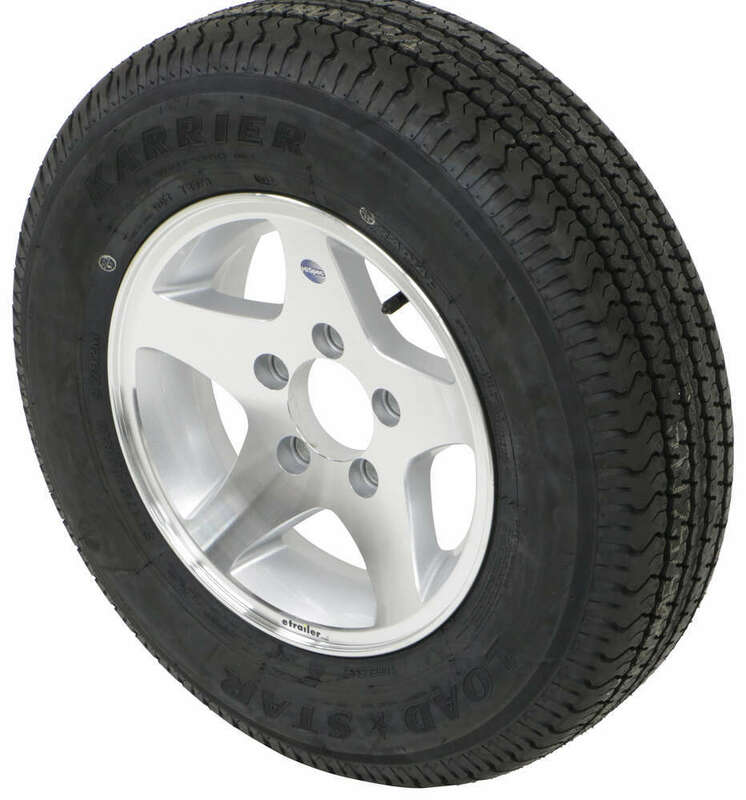 What I recommend is to go with an aluminum wheel and tire combo like # AM31998, # AM32001HWTB, or # AM31245. You pay a little more but you still get excellent corrosion resistance, style, and none of the issues associated with galvanized wheels. Yes, the Wheel Lock Set # RG01-150 that you referenced would work well with the Karrier ST175/80R13 Radial Trailer Tire with 13 inch Aluminum Wheel # AM31998 that you also referenced. 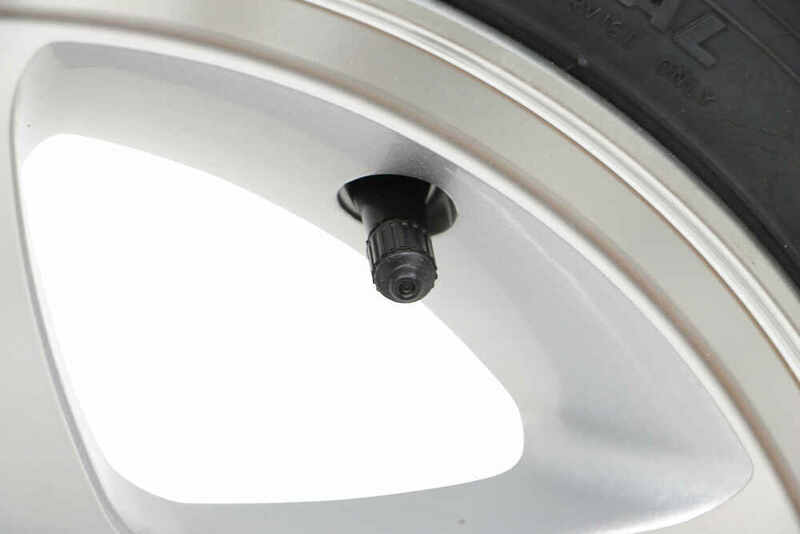 You should note that this product is designed to work on 1/2 inch diameter wheel studs. The wheel and tire combos that we sell come from the manufacturer with some balancing. They line up the heavy spot in the tire with the light spot on the wheel but they are not balanced on a machine with weights. Any tire shop with the proper equipment can balance the tires completely for a nominal fee. I have included some helpful links for you to view.